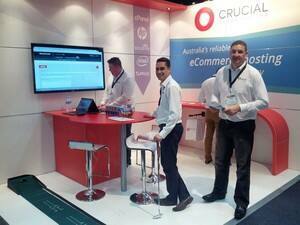 Crucial is one of Australia's most established and premier web hosting and domain companies. With a proven track record and over 11 years of experience, Crucial has helped Australian small businesses succeed online through innovative hosting products and exceptional customer support. Crucial offers a range of premier Virtual Server products, from the fully Managed VPS with your very own concierge taking care of your on-boarding process, Control Panel VPS for those a little more tech savvy and Barebones VPS for the code guru. With Australian VPS hosting offers like these every small business has a suitable match. Crucial has Australian Web Hosting and Reseller Hosting covered, Crucial offers cheap WordPress hosting making your online experience as easy as 1-2-3 and affordable! 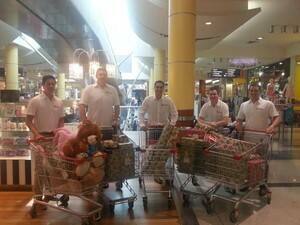 With fast web hosting in Australia launching your idea or business with the support of the 24 hour team, is seamless. Crucial led by an ambitious management team, who continually strive towards setting new benchmarks in service excellence and quality within the hosting industry. 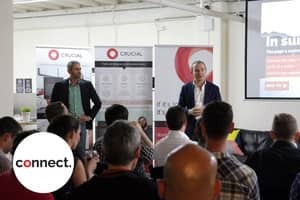 The Crucial team believe they can change the world by simplifying technology and the way businesses connect. This continual service excellence has been recognised and rewarded with multiple awards including CRN Fast 50, Anthill Smart 50, BRW Fast 100 and Deloitte Technology Fast 50. 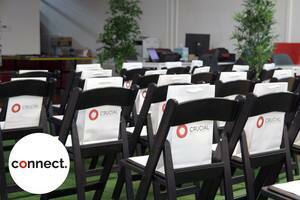 I have been working in Web Design for nearly 20 years and found myself hosting in America. Being an Australian business, I would prefer to support Australian economy so I decided to look for a local hosting company. I went through about half a dozen hosts searching for quality in product and support and had bad experiences with most of them before finding Crucial. As an earlier review says, I should have changed to Crucial years ago. They are genuine, honest and most importantly, human beings that speak everyday english. It's almost novel talking to sales and support that actually care. Every person I have spoken to at various times has been professional, inclusive and pretty much leave all of the other help and support desks for dust. We have used a few hosting companies in the past from smaller crowds aiming for better customer service to the big guys for reliability. We found some of the things webcentral were doing enough to jump ship as did many large web developers in Sydney moving to the more expensive Rackspace. Awaken Crystals and Giftsis FLYING on VPS hosted by Crucial. Excellent product, top level support and I am very happy overall. We are so happy to hear this feedback! Thank you @awakencrys.